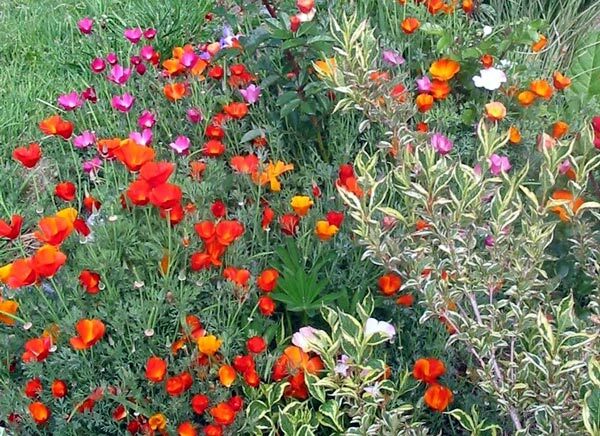 Californian Poppies have colonised many dry river beds in Canterbury. Surviving just on the natural rainfall, I decided that they were my sort of flowers. The basic orange ones look great on dull days. I've grown mixed colours from a seed packet, and also tried to be more subtle with a creamy lemon variety. They are no trouble at all, and seed themselves happily. They are a guilt free plant, and can be ripped out on a whim (as I have done quite a few times). 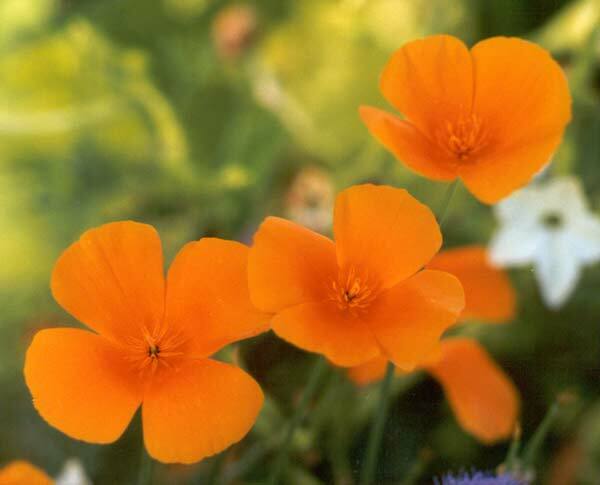 There are always new seedlings in spring, summer and autumn to continue the breed. When I am feeling well organised I try to buy in specially chosen varieties from my seed catalogue - there are lots to pick from. 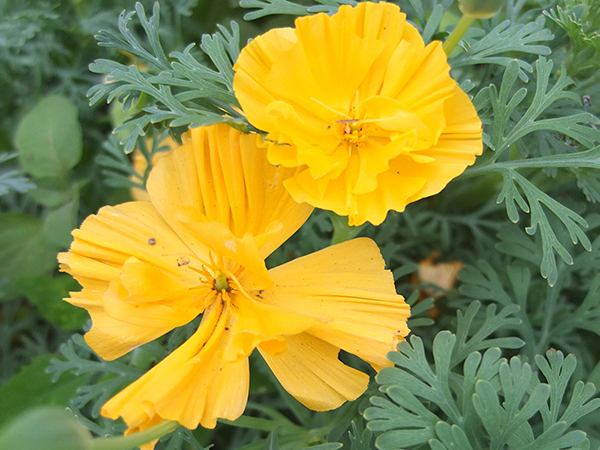 The instructions say that Eschscholzia dislike transplanting, but I've never had any trouble creating my own annual plants by sowing in trays and pricking out when big enough.